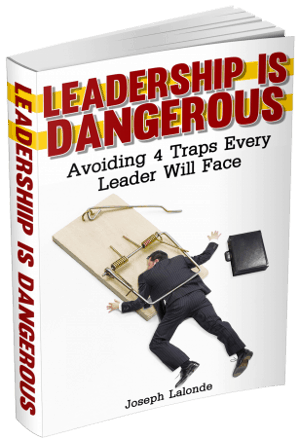 Today’s guest on the Answers From Leadership podcast is Ann Fishman. For more than two decades, Ann has been at the forefront of major generational trends. Receiving four U.S. Senate Research Fellowships, she introduced America to lifelong learning and intergenerational mentoring by creating Senate Information Papers, national workshops, and Federal legislation. 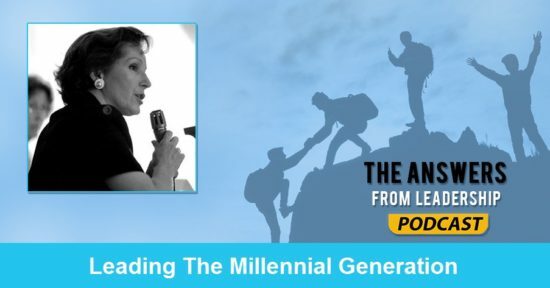 I’m excited to bring Ann on the show to discuss generational trends in leadership, especially in relation to millennials. After my talk with Ann, I was pumped. I think you will be as well. Ann, what else do you want listeners to know about you? The most interesting thing about my life is that I handed a cake to Roy Rogers when I was 10, I accidentally met Elvis Presley at an airport, and I was trapped in Hurricane Katrina and got out by a tugboat. You don’t get more interesting than that. Why is it important for leaders to pay attention to millennials? I think the main reason you need to understand this generation, this generation is particularly important because there are 80 million millennials. There are more millennials than British people. There are more millennials than French people. There are more millennials than there are Spanish people. So, when you have a group that large in America, that are bigger than countries, what they value moves the market, it changes the way we train employees, and look at the political situation. They’re really driving the presidential race. Is there something different about this current generation than previous generations? Yes, one of the things that people need to know about this generation is that they are really unlike generation we’ve ever had before. Particularly the women. These women are living the feminist goals. They can do almost anything they want to. Even though this entire generation is very different, most of the changes have come with the women. Why do think this generation is so different? I like to keep things very current. For example, why are millennials supporting socialism? I find that fascinating. So, I went back and did some research on it because it’s unusual. It’s always the history of your formative years that pushes a generation into certain values, attitudes, and lifestyles. This generation had what is referred to as helicopter parents. Parents who hovered over them and accompanied them to school interviews, to job interviews, and graduate school interviews. We now have insurance where millennials can stay on their parents’ insurance until they’re 27. Now when they enter the workforce, what happens is that employers change their whole business to accommodate the needs, the values, and lifestyles of millennials. Lexus, the big car company, is changing how they sell cars to people. They understand that millennials don’t need the interaction with their salespeople as much as they need to send a text to their BFF about the color of the car or the engine. They have been raised with the expectation that I don’t have to do this on my own. There’s always going to be someone there to take care of me. Have you seen this impact millennials people skills? Yes, every generation has strengths and challenges. People skills are one of their challenges. One of the reasons is because of the digital devices they use every day. They’ve lost the ability to read people. How is this lack of people skills impacting business? It means that business has to begin training them from day one. I don’t care if you’re a two-person company or a 2,000 person company, the minute that millennial walks into your door and becomes the face of your company, you have to start training them. The biggest thing is that this is the tell-all generation. They tweet out every thought, every emotion to their best friends forever, to their acquaintances, and to anyone that will listen. You have to say from day 1 this is what we do in-house, this stays in the company, you can’t tell this to anyone else. Do you have any encourage to the older leaders on how to equip and train the younger generation in communicating? They may not like it but they’ll like it a lot better than having all their secrets revealed. One of the ideas that I came up with that I thought was great, was learning lunches. You can have the topic of the day, say once a month, be how to make a business telephone call. This is one of the things millennials find the hardest. They don’t make a lot of calls. They tweet or text. Have you seen millennials have any issues with face-to-face interactions? Yes, they don’t make eye contact that great. You’ve got to understand, I’m not talking about every millennial. There are millennials that have beautiful people skills. A lot of times I get a very blank stare when talking to millennials. They’re not looking to see if I’m interested or studying the way you or I might study each other. Do you have any books or courses that would help a millennial improve their communication skills? I want to step back for a moment. Leaders have empathy. One of the things that makes us really respond to people is do you understand what I’m really about, do you understand what moves me, do you understand what I’m thinking? This is critical in our interactions with people. You do have to show empathy. Going to books, I’d have to recommend them reading Marketing To The Millenial Woman. I’d also have them read the Dale Carnegie book (How To Win Friends And Influence People). You also mentioned that there are courses. Are there any courses you’d recommend? If you have trouble speaking in public, there’s Toastmasters. Another tactic is to have your hand be the first one to go up when someone asks for questions. You do this, and you’ll become very comfortable speaking in public. Introduce yourself to people, go to the rotary clubs. Talk more in public places. I’ve partnered with the Catalyst Leadership Conference in Atlanta, Georgia to offer listeners of the Answers From Leadership podcast a special discount on their upcoming conference. Catalyst Atlanta 2016 is being held October 6th and 7th at the Infinite Energy Center. For a limited time, you can receive 25% off the current ticket price. That’s a massive saving! To receive your discount, register for Catalyst and enter promo code josephlalonde. This is one Christian leadership conference I won’t miss. I suggest you don’t either. If you sign up, let me know and we’ll connect while we’re at the conference. I’d love to meet you! Question: What have you found to be the most difficult thing about leading the millennial generation? Share your thoughts in the comment section below.